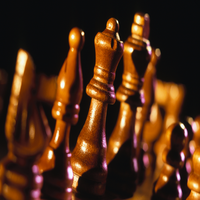 Mastering Chess: Genes or Environment? It is always interesting to look at people who have excelled at something to see what we can learn. I recently talked about the new research indiating that there are some genes that have some impact on intelligence. "Siblings who are elite chess players are rare. The best known are probably the Polgar sisters of Hungary. Susan, the eldest, is a grandmaster and former women’s world champion. Sofia is an international master. And Judit, the youngest, is the best woman player in history. Other notable chess-playing siblings have included the Byrne brothers, Robert, a grandmaster and the longtime columnist for The New York Times, and Donald, an international master who died at 45; and Gregory Shahade, an international master, and Jennifer Shahade, a two-time United States women’s champion, who were taught chess by their father, Michael, a master. Why so few elite sibling players? Is it simply because it is highly unlikely for a single family to produce multiple elite players? Or do most siblings have different interests? The questions go to the heart of a familiar debate: Is chess talent innate or nurtured? The best players, Shenk wrote, are the product of intensive study and training. He said the Polgar sisters, who were raised by their father, Laszlo, from an early age to be chess players, were a prime example. Shenk recounts an episode years ago in which Susan was studying with an international master and they had a problem they could not solve. They woke up young Judit, who, half-asleep, found the solution immediately and went back to bed. Aren’t the varying levels of talent among the Polgar sisters, who all presumably had the same training, evidence of innate differences? Possibly. A pair of sisters who have been making a big splash lately do not seem to be separated by ability, at least so far. Nadezhda and Tatiana Kosintseva of Russia are ranked No. 14 and No. 24 in the world among women. But at the European championships, which concluded April 15, Tatiana ran away from a large field, finishing two points ahead of her sister." There is undobtedly some set of genes that increase the chance that someone will be good at some game or other, whether it is chess or golf. But there is also the family, school or club that can help someone to realize their true potential. But even if the genes aren't all there, you can still become highly competent if you have learned how to learn and if you have learned the arts of patience, perseverance and persistence. As always happens at this time of year, millions of people have made resolutions to make major changes in their lives, and magazines and websites are full of sage advice about achieving and maintaining change. Yet we all know how many of these resolution will end in failure. But this year could be different. There is an interesting article which has been widely reported in the United Kingdom. Jonny Wilkinson is a 26-year old rugby legend, who is prodigiously talented, but whose career has been plagued by injuries. He is known for his enormous determination and dedication to the sport, and so he became the subject of a study carried out by Professor Caroline Douglas, a sports psychologist at Loughborough University. The study was funded by the Boots, a well-known pharmaceutical and pharmacy chain, as part of the company's Change One Thing scheme which provides starter packs to people determined to improve their lifestyles by giving up smoking, getting fit or losing weight. I think that most of us would agree that these are indeed some indispensable factors in achieving an aim, but I think that there is more to it, and that there are some better ways of staying with a program. We must first consider motivation. There is a great deal of research about this powerful force in our lives. One of the most difficult aspects of some mental illnesses, like depression and schizophrenia, is that people can lose all their motivation. Once you have seen that happen to someone, you will never again take it for granted. Every motive that we have is driven by a need and by a desire to satisfy it. But motivation is richer and more interesting than a simple stimulus (need)/response model. It is closely linked to mood, self-regulation and context. Jonny Wilkinson is clearly motivated by a desire to play professional rugby again. But we then have to ask why? Is it pride, or money, or a need to be respected? I don’t know in his individual case, but it is essential for you to drill down as far as you can to discover what needs motivate you; what core constructs are driving you. Because if your plan or resolution is not synchronized with that core construct, or core desire, you have little hope of succeeding with a plan. The reward that you garner for successfully completing a plan must be tied to the need for action. And here is a useful trick. You want to find two core desires that are driving you: one for yourself, and one for somebody that you care about. So giving up smoking could be driven by a desire to live longer and to be able to participate in a favorite activity, and also because you do not want your children to grow up without a parent. And here is the other part of the trick, whenever you are picking out motivating factors, look at them from physical, psychological, social, subtle and spiritual perspectives. To say that you are going to quit smoking, without taking into account the fact that you may suffer some physical withdrawal symptoms would make you plan very difficult. Our rugby player is very sensitive to the demands of his body and some of the psychological components of his will to carry on playing. But he will do better still if the other three components of his life are also being addressed. When people are suggesting a course of action, they sometimes neglect the role of time. We are pulled to behave by our conceptions of the future, our recollections of the past and the pressures of our current situation. The importance of the past as a motivating factor has been discussed for over 60 years. There seems little doubt that your memories have a key role in planning your future. This is why techniques that help us reframe our past lives are often so helpful. I particularly advocate re-writing your life story. Many of us do not take account of the fact that few of us exist as one integrated person. Our personalities are a composite fashioned by our genes, our environment - particularly during our formative years – our beliefs, desires, attitudes and our culture. We change, grow and mature over time, but we are also constantly buffeted by immediate changes in our environment. In very practical ways, you are not the same now as you were yesterday. Our motives will likely also change from day to day and throughout life. This is why I place so much emphasis on personal integration, so that you are able to unite and utilize all your skills to achieve whatever it. If you are integrated, you are also less likely to deviate from a course of action. I have written a lot about achieving integration in my book Healing, Meaning and Purpose, and in my forthcoming book, Sacred Cycles. But for now, a practical consequence of this changeability is that you must start your new plan immediately, before anything else can distract you. Also start with baby steps. To say that from tomorrow you are going to exercise for an hour a day and start meditating for an hour a day will never work. I always start people with ten minutes of physical exercise, and a one minute (yes, that’s right, 60 second) meditation. I have mentioned the value of having personal reasons for doing something, and also a reason to do something for someone else. Now there is the last piece: also see if you can work out a transpersonal reason for doing something. We have rock solid evidence that one of the most powerful motivators is a belief in something larger than yourself. People will do the most incredible things for their faith. If you can also find a third reason for following through on your New Year’s resolutions, you may well find the most powerful motivation of all.